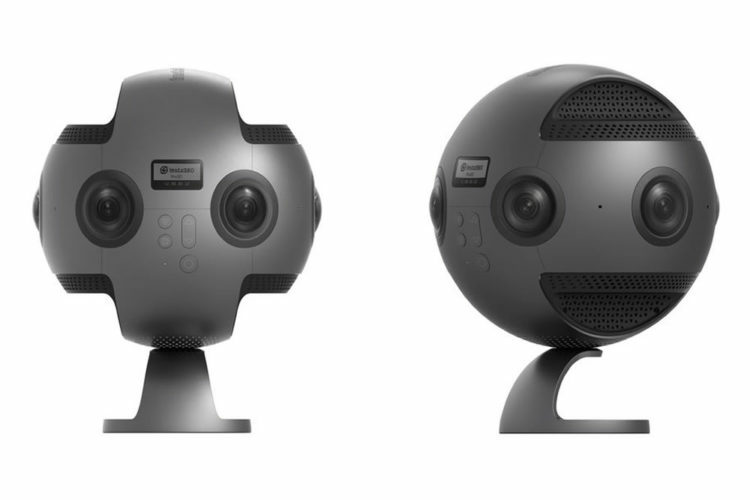 Are you researching which 360 camera to buy? Look no further, by the end of this page you’ll have all the information you need to decide which 360 camera is best for you. This buying guide will take you through all the best 360 cameras of 2018, I’ll show you their strengths, weaknesses and specifications so you can make an informed decision. 360 cameras are becoming extremely popular thanks to the rise of VR and 2018 looks set to be a great year, with a whole range of second generation 360 cameras set for release. Facebook and YouTube and putting their full weight behind 360 video, offering specific tools for creators and as VR headsets become more common so does the need for more immersive end engaging 360 video. Even without a VR headset, 360 video provides a whole new experience for the consumer and these types of videos are racking up millions of views. The overall best 360 camera of 2017. Shoots excellent quality 4K 360 video with software that works beautifully. Choosing the right 360 camera is becoming increasingly difficult as more and more are released. 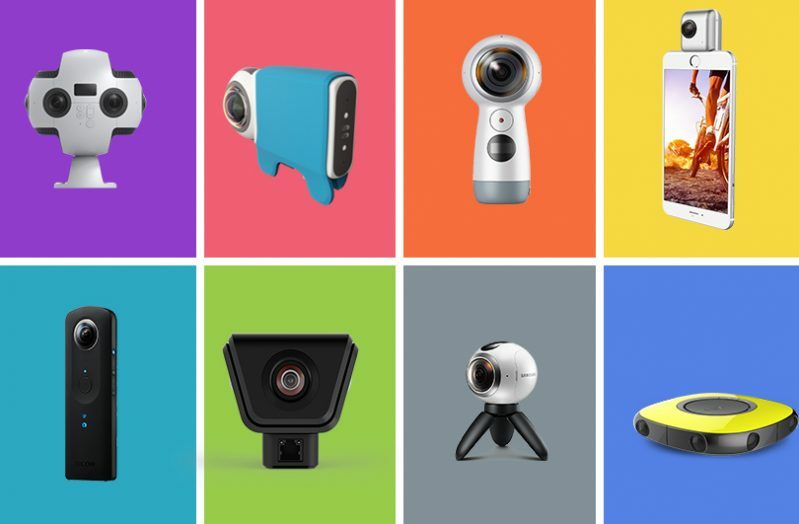 A year ago you could count the number of consumer 360 camera on one hand, now there are over a dozen. Some are aimed at specific phone users (for example the Insta360 Nano only works with iPhone’s), others are aimed at more professional users and the rest sit somewhere in the middle. I’m going to take you through the top 360 cameras in every category, show you what they can do and offer some advice as to which is the best and why. What makes a 360 camera good? If you already know a bit about 360 cameras you can scroll down as this information probably won’t be too useful for you; however if you are a newbie to the world of 360 cameras, let me explain to you what are the most important features to look out for when searching for one to buy. First and foremost, does it shoot in full 360 degrees? Some cameras label themselves as a 360 camera but in actual fact cannot shoot full 360 video/stills. Look out for cameras that are labeled as ‘fully spherical’ or ‘full 360 degree viewing angle’, then you can be sure that it will shoot the full 360 degrees that you want. A good 360 camera should have a very high video resolution, as high as possible. The ideal resolution for VR is 4K or above, however 2K is acceptable for sub $200 cameras for the most casual users. Photo resolution should be equally high if not more; the best 360 cameras can shoot huge 30 megapixel photos in full 360 degrees, allowing for sharp and clear shots. If livestreaming is important to you then check to see if the camera you are considering supports it. Most new 360 cameras are supporting livestream but there are a few the forego this feature. You should also check to see if the camera is compatible with your phone. Most 360 cameras connect to your smartphone to enable remote control, however many are only compatible with iOS or Android specifically. Finally, check to see the memory and battery capacity of the camera. 360 videos take up a lot of memory, so you want a camera that either has a lot of internal memory (at least 60GB) or has a SD card slot. A 360 camera that ticks all of these boxes should be a good option, however the ultimate proof is in how good the 360 videos turn out, thankfully we have YouTube to help us with that and I’ve included example videos for every 360 camera discussed in this post. I’ve chosen the Ricoh Theta V as the best 360 camera of 2018, primarily due to its ability to shoot excellent quality 4K full 360 video as well as livestream. The Ricoh Theta V is the best overall 360 camera for shooting video, mostly thanks to its advance lens technology and excellent software. The camera is easy to use, both handheld and with the phone app and it compatible with both Android and iOS devices. Video shot with the Theta V is clear, sharp, with minimal stitching errors and includes spatial audio. It’s also able to create stunning HDR photos in a single tap. The negatives of this camera include the lack of stabilization and limited photo resolution. If you are going to be shooting a lot of moving video with your 360 camera then I suggest checkout out my runner up. The Rylo would have been my number one choice for best 360 camera of 2018 if not for the fact that it’s only available for iPhone (Android version in the works apparently). The Rylo is capable of shooting perfectly stable 4K 360 video, even in the most challenging circumstances the Rylo can smooth out bumpy footage. The Rylo has the best software for creating video I’ve ever used. You can even re-frame your 360 video and turn it into a cinematic flat HD video. Honestly this is my number 1 camera to go to when I want to shoot video now. The Rylo isn’t as great at taking photos as it is at shooting video, and it’s on the expensive side. Still, if you have an iPhone and you’re looking for an awesome 360 camera then I can’t recommend the Rylo enough! It was a closely fought race between the Insta360 One, the Rylo and Ricoh Theta V, and the Insta360 One has a lot going for it. With advanced video modes like free-capture and smart track, this 360 camera breaks the mold in terms of how you use 360 video. The One can also shoot at 4K resolution and the video is both clear and well balanced. Photo resolution is an excellent 24 megapixels, so expect very clear 360 photos from this camera! The camera also has internal stabilization to keep your video looking as smooth as possible. So why didn’t it get the top spot? For a start the video produced with the One can look quite grainy, especially in low light conditions. Secondly, it’s software is a bit hit and miss, with crashes and bugs popping up a bit too often. If you want a 360 camera with as many features as possible, the Garmin VIRB 360 is for you. This beast can shoot 5.7K 360 video, which is the best of any consumer 360 camera, it waterproof, shockproof and features half a dozen sensors. The advanced editing program allow you to add augmented reality overlays to your video with a few taps. This is arguably the best 360 camera out right now, the reason it’s not in my top stop is because it’s very expensive at $800. If you are going to use all of its features then it’s probably still worth it, but a lot of people probably won’t. The VIRB 360 isn't the best at low light 360 video, but it's the best overall 360 camera. The Gear 360 2017 Samsung’s second generation 360 camera and it’s a great little device that packs a powerful punch. It can shoot full 360 video at 4096 x 2160 which is among the best resolution of any consumer level 360 camera. The Gear 360 can livestream 360 video in 2K, so you can share you most exciting moments live in immersive video. The design is solid and can be used with either a tripod or handheld. The best part is the price, Samsung has made this one of the cheapest 360 cameras and without doubt the best value for money. I’d fully recommend this 360 camera if you have a Samsung Phone, but if you have an iPhone or a different Android device, check out the other 360 cameras in this post. If you have an iPhone the best 360 camera for you is almost certainly the Insta360 Nano. This camera was designed specifically for iPhones and this is reflected in the quality of the device. The Nano clips on to the charging port of your iPhone and turn it into a 360 camera that can shoot excellent video and still images. The two lenses can shoot at a decent resolution of 3040 x 1520 at 30 fps, resulting in clear video with great contrast. The Insta360 Nano comes packed with stabilization software which keeps your videos looking great even if you make sudden movements while shooting, something missing from most other 360 cameras. You can also livestream 360 video when using this camera with your iPhone, and doing so is extremely simple when using the official Insta360 Nano app. If you are looking for a high quality, easy to use 360 camera for your iPhone, then this is the best option. 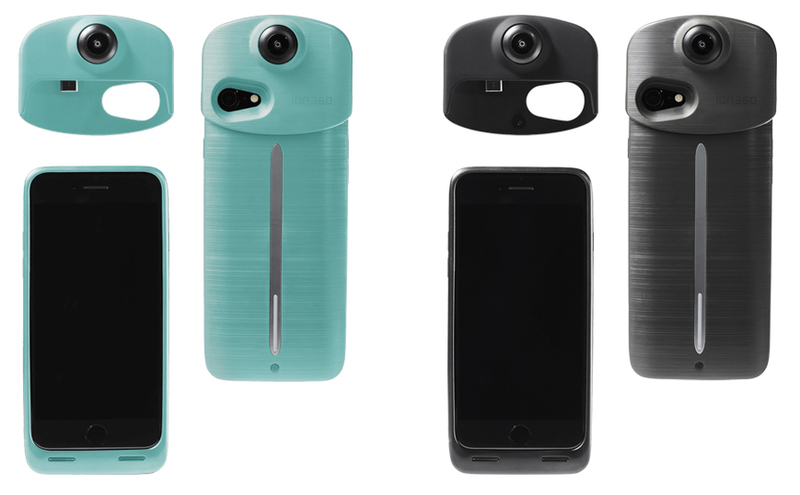 The Giroptic iO is another iPhone 360 camera and, in many ways, it is similar to the Insta360. The reason I put it below the Nano is because the Giroptic has no stabilisation, shoots video at a lower resolution and is slightly more expensive. Still, the Giroptic is a great device and has the backing of Facebook, who recently handed out thousands of them to help people create 360 content. The Giroptic can also be used with iPad’s which is unique to this device. The Insta360 Air is the android version of the Insta360 Nano discussed above and was released in early 2017. 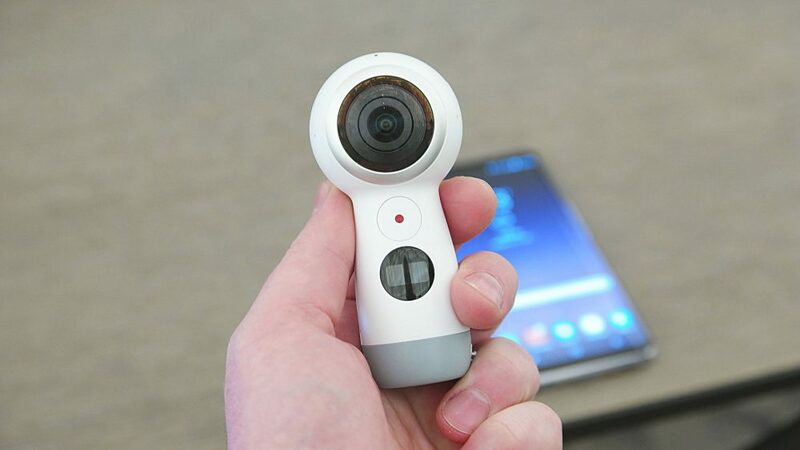 The internal specifications and deign are different, but the idea is the same, to turn your android phone into a 360 camera. The Air plugs into the USB port of your phone and automatically connects to the official app, once connected you can start shooting 360 photos and video. You can even use the Air as a webcam for your desktop or laptop, just connect it with a standard USB cable. The air is a tiny little device, but it can shoot stabilised 360 video in 3K quality and 360 photos at 3008 x 1504 resolution. The imagery shot with the Insta360 Air camera is really impressive considering its small size any equally small price tag. The original Samsung Gear 360 is still a great choice if you want an excellent value 360 camera, despite being a year old. The Original Gear 360 actually shoots better 360 stills than the newer version, but video isn’t quite as good and there is no livestream feature. The eyeball shape of the camera is not great for handheld use or for keeping in your pocket, however, Samsung provides a small tripod which can help when using the camera by hand. The accompanying app connects to the camera wirelessly and instantly, providing a great user experience. You can control the camera here and change settings. I’ve owned this camera for over a year and have had very few problems, the only worth mentioning is that it tends to overheat after 30 minutes of continuous filming. Like I said, the Samsung Gear 360 is only fully compatible with Samsung handsets; if you have a different type of phone there check one of the other options. 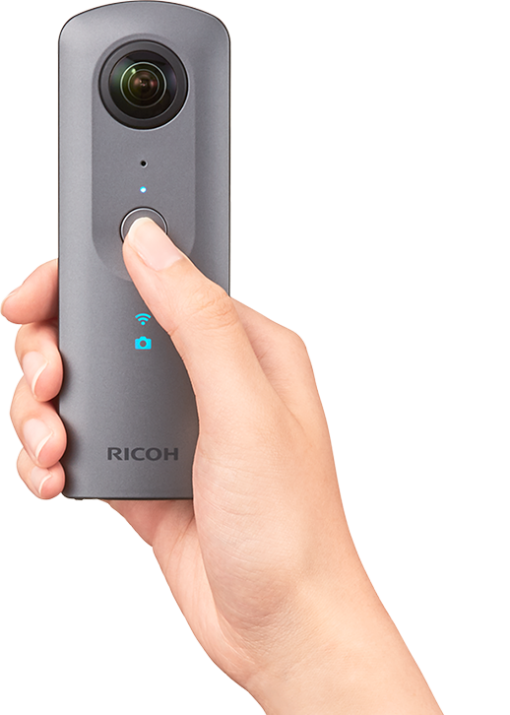 The Ricoh Theta S is the most popular 360 camera of the past few years, primarily thanks to the fact it is compatible with both iPhone and Android phones and because it’s super easy to use. 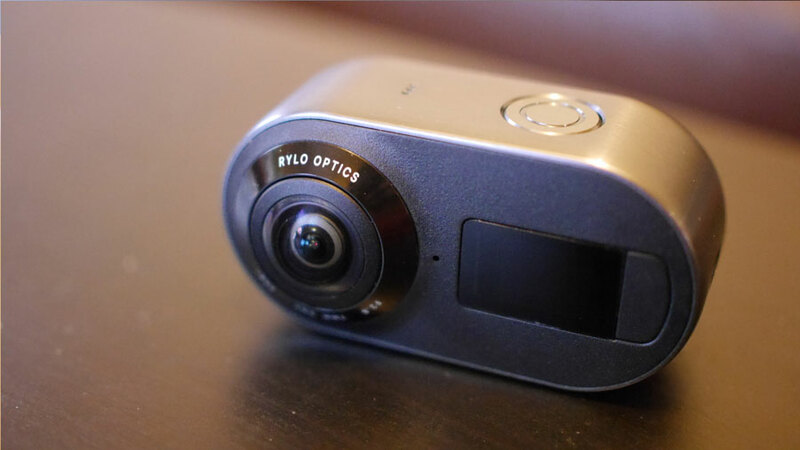 The candy bar shape camera has 2 lenses that can shoot full 360 video at 1080p quality, which isn’t great, however its noted for being able to take great 360 still images, even in low light. You control the camera with an app on your phone, where you can also share your 360 images and videos on Facebook and YouTube instantly. The camera is a few years old now and the price hasn’t come down much, which is why I wouldn’t recommend it over the top 360 camera on this list. The 360Fly 4K is the only 360 camera designed to be used as an action cam, similar to GoPro. The 360Fly can shoot in 4K resolution, but with only one lens it can’t quite manage to shoot in full 360 degrees, instead, it leaves a blind spot just below the camera. Despite this, I think this is a great camera and should be top of the list for anyone who wants to shoot 360 video while they, ski, climb or any other activity where their camera could get knocked about. The Fly is the only 360 camera to provide decent protection against the elements; it’s splash proof, shockproof and made of tough material so that if it gets a few knocks it won’t scratch or break. The camera is on the most expensive side, however, you get a very high-quality product that is less likely to break. The Nikon Keymission 360 is a 4K 360 camera by one of the top camera makers in the world; it has a huge range of features and excellent hardware. It can be made waterproof and can shoot 24-megapixel photos. 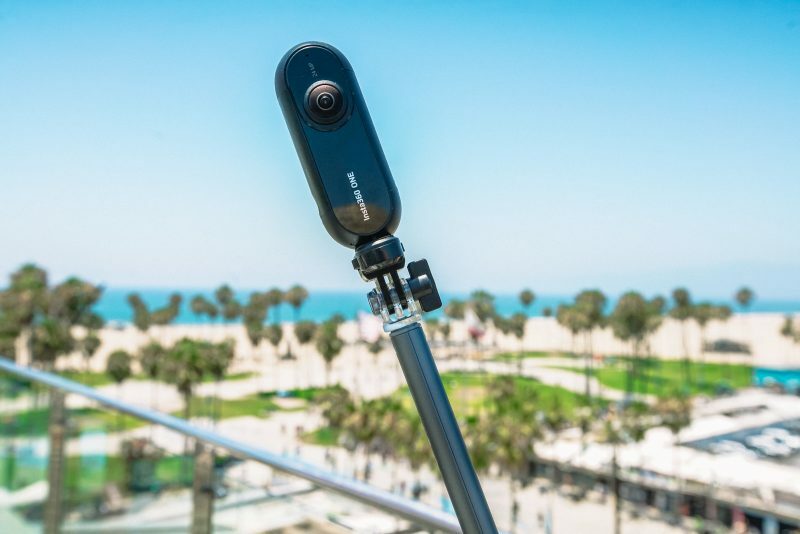 If we only focused on the hardware, this would likely be the best 360 camera on this list, however, the software used with this camera was subpar at release and led to many negative reviews. Whether this has been improved sufficiently since then is difficult to tell and the camera is also rather expensive. The best 360 cameras are yet to come! There has been a flurry of announcements regarding new 360 cameras and most of them are set to be released next year. We don’t have all the details of the following cameras yet, but all of them look to be a step up in 360 camera technology and I can’t wait to try them out. This will be the first ever 360 camera from GoPro and it looks very exciting. The guys at GoPro are extremely talented at making small, innovative cameras and many have been waiting for them to enter the 360 camera market. 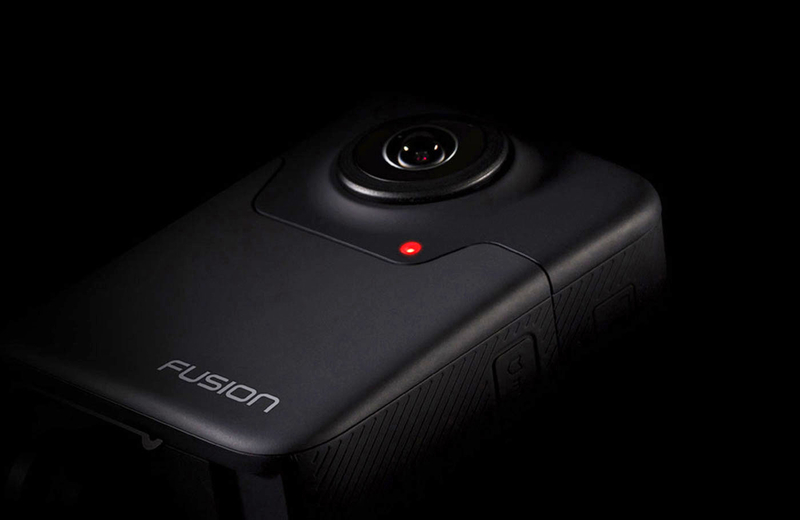 The Fusion will be able to shoot 5.2K 360 video and will be able to fit in your pocket. That’s all the information GoPro released as of now, however, you can check out the amazing sample video they shot with the camera to see what it can do. 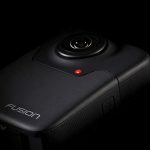 The Fusion looks set for release by the end of the year and could very well be one of the best 360 cameras of 2017. The Insta360 pro could be a groundbreaking camera when it is released as it will be the first professional 360 camera to cost under $5000. Other professional 360 camera have been priced upwards of $40,000, so this is a big discount in comparison. The Insta360 Pro is aimed at professional film makers who want to shoot very high quality 360 videos; it can shoot full 360 video at an impressive 8K resolution. Anyone wanted to get serious about creating content for VR should consider this camera when it is released in summer this year. This is the most unique 360 camera announced this year. The ION360 U is a smartphone accessory that will not only turn your phone into a 360 camera, but will also charge and protect it too. Yes that’s right, the ION360 is a 360 camera and charging case all in one. The camera element will shoot 4K 360 video and feature live stream capabilities. The device will be compatible with the latest Samsung and iPhone models and will cost $349. You can expect this unique device to be released din June this year. While its image quality isn’t the best, and the mobile app needs work, the LG camera costs half as much as the competition, making this a good entry point for those interested in seeing what 360 videos are all about. While its image quality isn t the best, and the mobile app needs work, the LG camera costs half as much as the competition, making this a good entry point for those interested in seeing what 360 videos are all about.